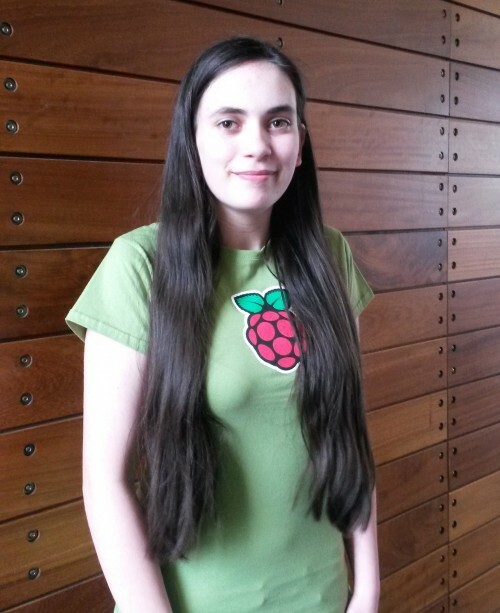 Today is International Women’s Day, and we’re celebrating six women who are doing really wonderful things with Raspberry Pi. Primary school teacher Cat Lamin is a Raspberry Pi Certified Educator who has worked energetically to support others to teach computing. Coding Evening, an initiative she set up in 2015 to bring together teachers, volunteers, IT professionals and hobbyists, has already spread from its roots in Twickenham to locations across the south and east of England. Cat talks about her experience with both Picademy and Coding Evening in episode #3 of The Pi Podcast; her interview starts around 16m35s. A high-school student from California, Sonia Uppal first featured on this blog in late 2015. She took a dislike to computer science when she first encountered it in dull lessons during a three-year stint in Bangalore, India; back home in California, she discovered how exciting programming could be, and wanted students in rural India to have the same experience. 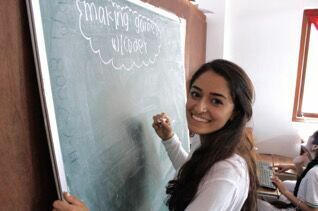 Her project, Pi á la Code, is now bringing new computing opportunities to children both in India and in the USA. Regular readers may know Dr Lucy Rogers best for her Raspberry Pi-controlled robot dinosaurs; these, though, are just one of too many exciting projects to list. A maker, science communicator, and engineer, you might find Lucy protecting the world from space debris, running digital making events for kids, or doing science cabaret. We can’t wait to watch her in the BBC’s new series of Robot Wars, where she’s one of the three judges. Yasmin Bey is a 15-year-old programmer, maker, and Raspberry Pi enthusiast. The proportion of students choosing to study computing at her girls’ school increased from 3% to 70% after she ran lunchtime clubs for other students. 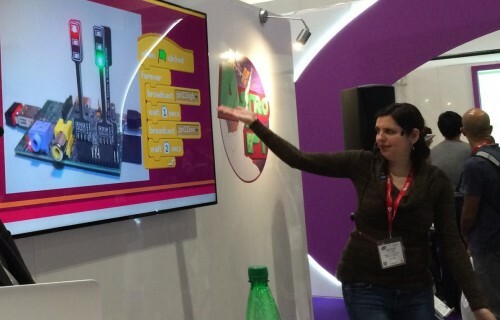 A winner of the 2015 EU Digital Girl of the Year award and the 2016 everywoman in Technology One to Watch Award, Yasmin often volunteers her time to run workshops and give talks, including at the Bett Show 2016 and at our Big Birthday Bash last weekend. 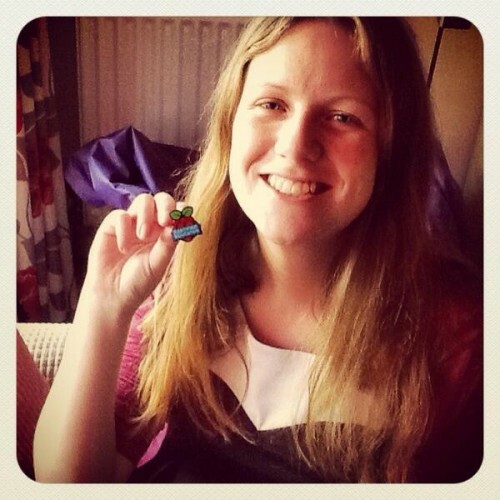 Sway Grantham was among the very first group of teachers to attend Picademy, our free training for educators, and is a consummate collaborator and speaker who is generous in her support for others. Energetic and rigorous in providing effective, engaging computing teaching to her primary school students, she shares her experiences with other teachers in written articles and talks, at events and on social media. Sway is a Specialist Leader of Education for computing, supporting other educators to deliver excellent teaching. 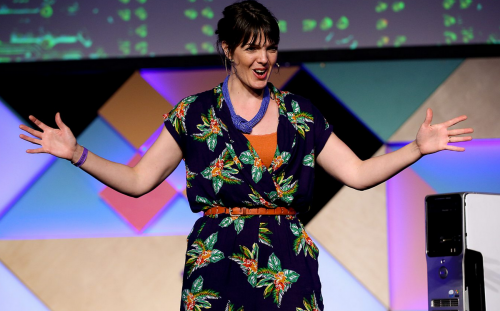 Fran Scott is a talented science presenter and live stage performer with a mission to make science jargon-free, accessible, and accurate, as well as exciting. 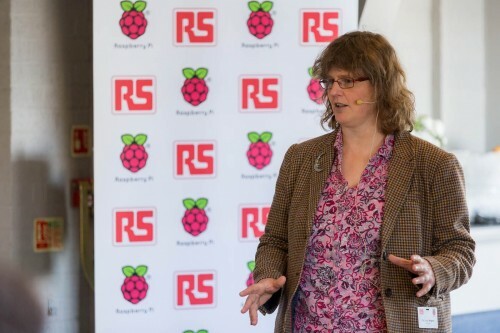 In shows such as the brilliant explosions-based computing, Fran uses Raspberry Pis to demonstrate key computer science concepts to kids, teens, and people who love bangs and flashes. We’ll sign off with a shout-out to students at Queen Margaret’s girls’ school in York, who have been celebrating International Women’s Day by launching #WOWLDN to near space with a high altitude balloon, using a Raspberry Pi as a payload tracker. We saw excellent photos of their flight and enjoyed following their recovery of the payload, which came down so close to the North Sea that it got a bit damp and sandy. All amazing people. :) Can I add Maggie Aderin-Pocock? I’ve been listening to her on BBC radio 3 this week. One of my favorite sky at night presenters, and it’s her birthday tomorrow! She’s certainly great on CBeebies Stargazing: my son is hooked! You mentioned we interviewed Cat for the Podcast in episode 3. It’s great to be a part of a community full of amazing people doing great things, and one so welcoming to girls and women. As well as the countless women in the community, this is a celebration of those women on staff at Raspberry Pi and Code Club, who do amazing and inspiring work. Feeling really honoured and agree with Ben’s comment that the female staff at Raspberry Pi & Code Club also deserve celebrating too! The IT community just would not be the same without ladies like you. Thank you for all you do. I’m glad the world is getting- no-has gotten to a point where women have equal rights to take part and excel in areas of technology. These women are just an indication of what could be achieved if more women and girl-children are empowered. Big-ups to the pi team for your mission. You have no idea how much you’ve inspired me and my friends. Looking forward to what comes next. Excellent role models! I was particularly struck by “The proportion of students choosing to study computing at her girls’ school increased from 3% to 70% after she ran lunchtime clubs for other students.” Well done, Ms Bey – clearly one to watch. Thank you so much for including our students at Queen Margaret’s amongst such an illustrious list of inspiring women!